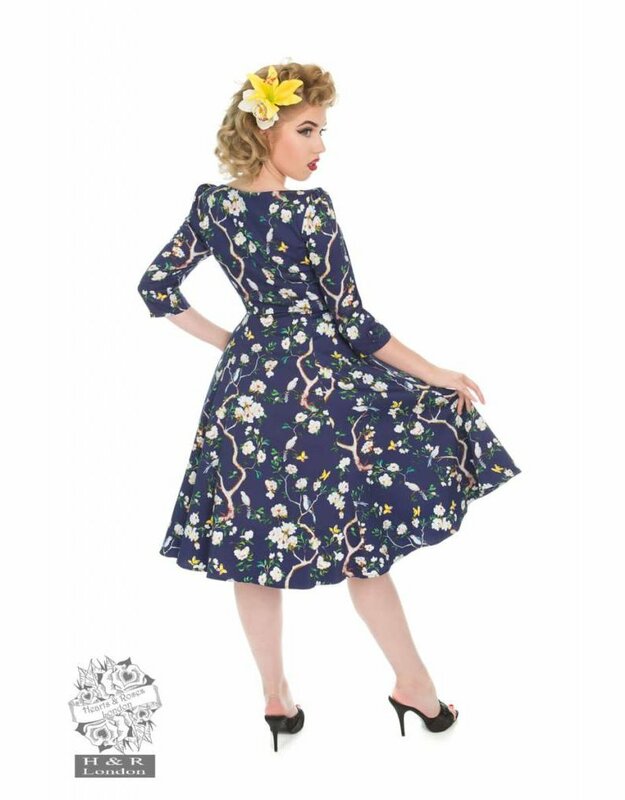 While the birds chirp and the sun begins to set the enchanted garden floral dress, sets the theme for Detailing a floral print with a gorgeous garden theme, with butterflies, birds and roses. A magical joy to wear, and a multipurpose dress for the day or evening. To finish off, the print is set on a navy purple cotton stretch, which allows you to stay comfortable while looking chic throughout your day. Is the size your looking for out of stock? Please email roos@thelittleshopofcolours.com and we’ll let you know if we can order it for you! The size chart below gives an indication of this brand’s sizes. It is possible some items of clothing deviate slightly from this chart. If you wish, we can measure the item for you directly. You can reach us during opening hours at +31 (0)332025036 or send an email to roos@thelittleshopofcolours.com and we’ll get back to you as soon as possible.